I turned David Chang's fish sauce Brussels sprouts with mint into a soba salad. 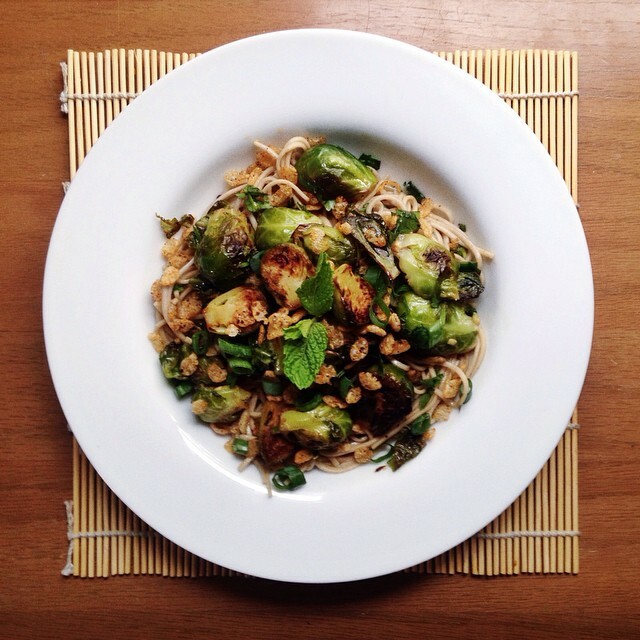 Do you have soba noodles and brussels sprouts? Then you can make this.